From this mock court, I have really learned a lot about the law. I also got to understand that law is such an interesting subject. In the pre-trial stage, my classmates and I did not understand the procedures in court. Through two professional workshops, I started to have a better understanding about how to sue the defendant in various courts of knowledge. Approaching the competition day, we did a rehearsal and the court process was more complicated than I had imagined. Fortunately, our teachers put effort to help us, so that we began to recognise what was going on in the real court. On the day of stepping into the court, I was very surprised that we succeeded, and beat the opponent. We learned that although a case may seem hard to solve, we can try our best to confront the difficulties and achieve our goal in the end. From the case, I have gained a lot of experience on handling law cases. I think I would never get to learn anything about law if I had missed this opportunity. This time, my role was the lawyer for the Defendant. The mission was really challenging for me. I needed to defend for my client in the High Court. It was such a great burden on me by that time as I was standing in the limelight of the court. Not everyone can have a chance to visit the high court, but I got to have the chance of speaking my mind in here. Therefore, I was excited about it. Finally, our team got quite a decent result. I think the credits should be given to my teachers and legal advisors. They gave a lot of support to us. The suggestions they gave were really useful to the cases. If I could join similar events again, I think I could improve myself even further. We received information from Greening, Landscape and Tree Management Section, Development Bureau that they have launched a new TV announcement to promote the “Be Our Greening Partner” campaign. DG Eugene delivered an inspirational speech to students and thanked Customs & Excise officers for they volunteered to be acted as witnesses in 3 different court rooms in the Rotary Adopt A School – Mock Court 2014. Four RAAS partnering schools and 2 Non-RAAS schools participated in the Mock Trial, namely, Cognitio College (Hong Kong), Chiu Lut Sau Memorial Secondary School, Stewards Pooi Tun Secondary School, True Light Girls’ College as well as Sing Ying Secondary School and Sha Tin Government Secondary School respectively. Almost 200 people attended including Rotarians, Rotary family members and alumni. All students and participants learned a lot after the Judges provided details feedback and very positive reinforcements to participating teams after each case trial in the 3 different court rooms. Rotary Adopt A School Chair PDG Tony Wong, RAAS Environmental Program Sub-committee Chair President Mawin Cheung who is also the President of Rotary Club of Happy Valley and President Patrick Kang of Rotary Club of Guia had collaborated to carry out a Green Project by leading over 40 people inclusive of Rotarians, different representatives of NGOs such as Lions, Caritas, secondary schools, primary schools, nursery, mentally challenged association, youth association, banker, friends and family members from Macau to come over to Hong Kong for exchanging knowledge and studied various means for environment protection. The concept of “Train the Trainers” started from kindergarten! A well experience tutor presented the methods in a seminar to the parents and kids and then demonstrated how to plant the seeds in the garden. President Mawin presented ways of easy organic farming followed by 2 psychologists shared the means of treating anxiety and depression with plants and farming. Principal Raymond Yip along with teachers and Green Club students provided us a guided tour to this “ecologically friendly” school. Students explained in details and introduced Corner of Nature, various kinds of fishes in big fish tanks, Trachemys scripta elegans 巴西 龜, 鱷魚龜, 綠鬚蜥 to us. We also climbed up to the top roof to visit the Green garden which comprised of different kinds of trees, plants and vegetables. In addition, solar photovoltaics is a sustainable energy source and solar panels are in force in the top roof. Photovoltaics is a method of generating electrical power by converting solar radiation into direct current electricity using semiconductors that exhibit the photovoltaic effect. As a result, not only does it save a lot of the electricity fees of the school, but also reduces at least 3-4 degrees of the 6th floor of that school building in summer! We learnt that floral therapy and eGardening can reduce mental stress and provide a sense of accomplishment to the mentally challenged. All of us enjoyed this visit very much. 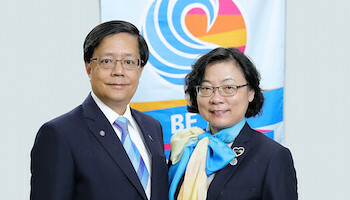 RAAS Environmental Program Sub-committee Chair President Mawin Cheung and President Patrick Kang of Rotary Club of Guia have collaborated to carry out a Green Project by organizing Rotarians, friends and students in Macau to come over to Hong Kong to exchange the ideas and knowledge of protecting our environment in earth. 1. Intensive training to Prosecution Team and Defence Team by volunteer counsel to different participating schools in March 2014. 2. Mock Court Trials at the 3 Court Rooms of the High Court on 29 March 2014. RAAS Environmental Program Sub-committee Chair President Mawin Cheung and President Patrick Kang of Rotary Club of Guia have collaborated to carry out a Green Project by organizing Rotarians, friends and students in Macau to come over to Hong Kong visiting Easy Organic Farming and Baptist Convention of Hong Kong Po Tin Kindergarten. They will also have knowledge and friend exchange with school visit leading by RAAS students of Stewards MKMCF Ma Ko Pan Memorial College. 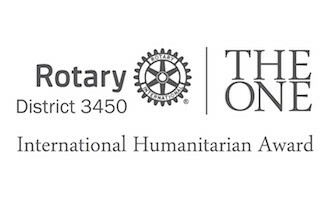 An invitation was sent to RAAS partnering Rotary Clubs and schools. Hon. Dr. Lam Tai Fai has accepted our invitation to be the Guest of Honour. DG Eugene Fong graced this special occasion and also, on behalf of our District and RAAS program, delivered a speech to thank Customs & Excise Department (C&E), Education Bureau and all supporting schools to join this visit for the purposes of offering our students a chance to learn from C&E about their mission and duties. An eye-opening visit to an Interview Room with special equipment for video-recording when interviewing suspects, Identity Parade Room, a room with one-way mirror to identify suspects without letting them see the attendees, and specially devised and furnished Detention Centre etc. Different C&E officers provided us very detailed explanations in each location. Photo-taking was not allowed in this floor. It was a real situation that suspects had been arrested and sent to 9/F when we were staying in the Customs Headquarters Building. Therefore, the C&E officers executed their contingency plan in order to prevent those suspects from meeting us face to face. Under the careful guidance and well-organised of the super-efficient disciplinary force, despite the fact that our over-subscription really aggravated their workloads, 271 participants were triaged effectively to complete the visit smoothly. Salute Customs and Excise officers! Anti-narcotics Investigation Section, Revenue Protection and Collection Section, Intellectual Property Rights Protection Section, Border Security and Trade Facilitation Section, Consumer Protection Section and International Cooperation Section. An Officer of Office of Prosecution & Management Support gave the presentation followed by Q&A. Students were very excited and energetic to answer 10 questions respectively by raising their hands in a turbo speed to fight for the chance of providing an answer each time. Each winner got home with a cute Toy Customs Detector Dog! Due to the over-whelming responses from RAAS Partnering Schools and Non-RAAS Schools, the original 180 vacancies offered by the C&E Department for the Visit were quickly filled up. As we received over 270 participants enrolled prior to the deadline, C&E Officers had kindly accepted all the applicants to avoid disappointment. In addition to RAAS Committee members, Rotarians from different Rotary Clubs and members from Rotary family, there were over 10 Non-RAAS schools, 16 RAAS Partnering Schools plus one potential partner enrolled. RAAS will arrange volunteer solicitors / barristers to provide further training on the Saturday(s) in March to those students who will attend Mock Court Trials. Intensive training to Prosecution Team and Defence Team will be organized. Mock Court Trials at the Court Rooms of the High Court.